Earlier this year, the AICPA Forensic and Valuation Services Conference was held in Orlando. In the past, forensic services and valuation services held separate conferences; this year, in recognition of the fact that many CPAs perform a combination of these services, the two events were joined. As many as eight concurrent sessions were available to attendees on topics including basic, advanced and practical forensic and valuation issues; practice management and marketing; and litigation issues. 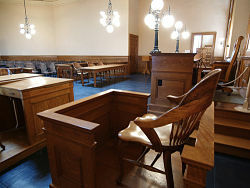 As a CPA who performs primarily valuation services for litigation, two issues of particular interest for me were expert testimony and the cost of capital in business valuations. Ron Seigneur moderated a panel of three attorneys in a session titled “What Do Lawyers Really Say About FVS Experts?” This session was a great look into what attorneys are looking for in an expert and how expert testimony can be most effective. I initially chose to write a feel-good year-end reflection because that’s what all the cool, popular bloggers on the internet do. And I want to be cool and popular, too. But as I started going back through all the news from 2012, I quickly realized that it was an extremely eventful year, even by the lofty standards established by previous years (I’m looking at you, 2002!). That said, an on-the-go CPA could surely be forgiven if they were too busy to notice the top* four articles, which gave us a reason to smile during the course of the year. As noted right here on AICPA Insights in March, a survey from Careerbliss.com found that being an accountant is the eighth happiest job in America. Employees were asked to rate 10 factors that affect workplace happiness, including one's relationship with the boss and co-workers, work environment, job resources, compensation, growth opportunities, company culture, company reputation, daily tasks and control over the work one does on a daily basis. The Clarified Auditing Standards are now in effect. You may have heard that “these aren’t substantive changes,” but this isn’t the case. Some of the changes included in the new standards will affect every auditor. Based on inquiries we’ve received during recent AICPA webinars on the Clarified Auditing Standards, participants have identified four areas of change that may require more attention. One substantive change is to the auditor’s report. Headings and specific language for each section are now required within the report. Adding headings and the correct language to an auditor’s report, while affecting every audit, is not difficult to do. The challenge is making sure that it gets done. If a staff person takes last year’s report and changes only the dates, and the firm issues that report without headings and revised wording, then the firm has issued a deficient report. While it may require a little extra work, these headings provide auditors a clear understanding of what additional information is needed and where to place it in a report. Bob Keebler discusses three opportunities individuals can take advantage of while we wait for final resolution on the "fiscal cliff." Bob discusses gain harvesting to avoid the increase in the capital gains, Roth conversions to avoid the increase in income tax rate and the potential to take advantage of the loss of state income tax deductions in the future, and finally funding dynasty trusts before a new federal law could come into effect. Visit aicpa.org/PFP/YearEnd for free resources to help you get financial plans in place for your clients now. CPA Exam score release timetables have been such a hot topic amongst candidates that we have decided to post regular updates. Updated score release timelines will be announced twice annually on AICPA Insights® and will also be posted on the CPA Exam website. Since we would rather have candidates study for the CPA Exam rather than spend time notching off business days on a calendar, we have contained the score release timeline in a table below for candidates to easily find their score release dates. In the first half of 2013, scores for the CPA Exam will be released by the National Association of State Boards of Accountancy to individual state boards of accountancy based upon the target score release dates listed in the table below. As CPAs, we are increasingly called upon to use our professional judgment in facing key auditing, tax and accounting concerns – especially as the profession moves from being rules-based to more principles-based. We gain our ability to apply professional judgment over time, through experience, training and an understanding of what a reasonable person would perceive as the right course of action under certain circumstances. We are informed by our upbringing, by the guidance of our mentors and colleagues, and during interactions with our employers and clients. At some point during our careers our professional judgment is likely to be tested. The 3.8% Medicare surtax on net investment income is set to take effect on Jan. 1, 2013. How this surtax will affect those who are current beneficiaries of charitable remainder trusts is a hot financial planning topic. Robert Keebler explores planning for this new surtax and the Treasury Department's recently issued regulations addressing section 1411 of the Internal Revenue Code, the 3.8% Medicare surtax in his latest podcast. Download a free Medicare surtax chart and visit aicpa.org/PFP/YearEnd for free resources to help you get financial plans in place for your clients now. But believe me, if you attend conferences and aren't on Twitter, you are missing out. Case in point: the Digital CPA Conference last week. I got to the hotel in Washington D.C. (ahem...I mean Maryland. Right, Tom Hood? ), logged in to my computer and discovered Twitter was already all aflutter with #DigitalCPA activity. If you know me, you know this made me very happy! Follow a conference hashtag for the inside scoop. By following and participating on a conference hashtag, you get to see the full picture of what's happening. People are sharing their favorite quotes, new ideas, what they are learning and my favorite... pictures. A recent report published in August 2012 by the Public Company Accounting Oversight Board outlines certain deficiencies in audit procedures with respect to a clients’ fair value determinations. The report explains these deficiencies, which included, among others, fair value determinations of investment securities and business combinations. With the increased scrutiny on fair value measurements and the increase in business combinations during 2012, how will audit firms and valuation professionals educate themselves to improve the quality of their work? The following is an interview with AICPA President and CEO Barry Melancon, CPA, CGMA. He was asked to share his thoughts about some of the major issues and trends that will affect CPAs in 2013. In the coming year, we will see the first efforts of the Private Company Council. What changes can CPAs and the companies they serve expect to see? The Financial Accounting Foundation’s Private Company Council was created to address issues affecting companies that need GAAP-based financial statements. The PCC only recently began meeting, and will be weighing in on existing standards and ones in development. Private company accounting stakeholders are expecting prompt action by the PCC in modifying GAAP to bring more relevance and simplification to financial reporting. 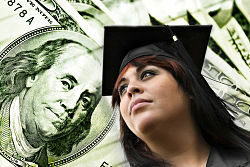 Financing the cost of college is a significant issue for families and for recent graduates saddled with huge student loans. The total amount of outstanding student loans—around $870 billion, according to the Federal Reserve Bank of New York—is greater than the total level of outstanding credit card or auto loan debt. It is also growing, while the size of other consumer debt is shrinking or remaining the same. However, practitioners may not be aware that, in a surprising new wrinkle, more upper-middle-class families are now turning to student loans to help finance college costs. In fact, the greatest expansion in the percentage of student loan debt was among families with annual incomes between $94,535 and $205,335, according to a Wall Street Journal analysis of recent Federal data. A total of 25.6% of them had student loan debt in 2010, up from 19.5% in 2007. The average amount they borrowed jumped to $32,869 from $26,639 in 2007, after adjusting for inflation. Names have power. Corporations invest millions of dollars and countless hours of focus group sessions before a major name change. Names provide insight into an entity or company’s background and mission. They also help us infer certain characteristics about an organization or set expectations for how it delivers a particular product, service, or experience. Consider these famous name changes for a moment. Would Google be as ubiquitous if it had kept BackRub as its name? Would the cola wars rage on if Coke were competing against Brad’s Drink or against its newer moniker, Pepsi? Innovation, mergers or a decision to move in a different direction can lead companies, organizations and other entities to outgrow their names. Quite simply, a name change allows organizations to better reflect their purpose and what they offer. For this reason, the AICPA renamed the Information Technology Section to the Information Management and Technology Assurance Section. 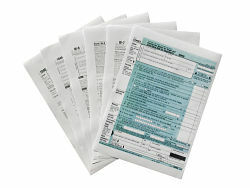 CPAs are well aware of how Form 1099 reporting improves tax return compliance. CPAs are also aware of how the 1099 rules can lead to considerable taxpayer frustration or opposition. For example, during the 2012 filing season, we heard a lot about the difficulties taxpayers had trying to comply with the new cost basis information reporting rules for brokers reporting stock sales; and this particular issue remains a concern of ours. Another major initiative, which until recently seemed like a sleeper issue, is now ripe for taxpayer focus. Merchant card companies are required to report (on Form 1099-K) the gross receipts that a business receives from customers paying with merchant cards during the year. 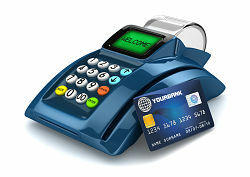 Merchant cards typically include both credit cards and debit cards.